The Junior Colts can still qualify with a win against the Black Starlets but need other results to go their way too. 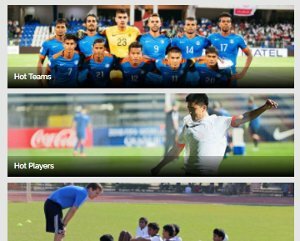 After a gallant display against Colombia, ranked 10th in the World, the Indian U-17 National Team which won hearts all over gear up to face Ghana in their third group stage match of Group A of the FIFA U-17 World Cup India 2017 at the Jawaharlal Nehru Stadium in the Capitaltomorrow (October 12, 2017). 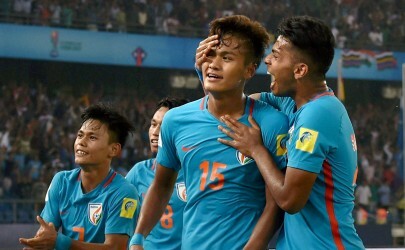 Technically the Indian colts could still qualify for the next stage of the U-17 World Cup, given a win against Ghana and courtesy other results going their favour. With ambition running high in the squad, the colts are aiming for nothing less than a win that would eventually propel them into contention of progression. “We will go for nothing less than a win. 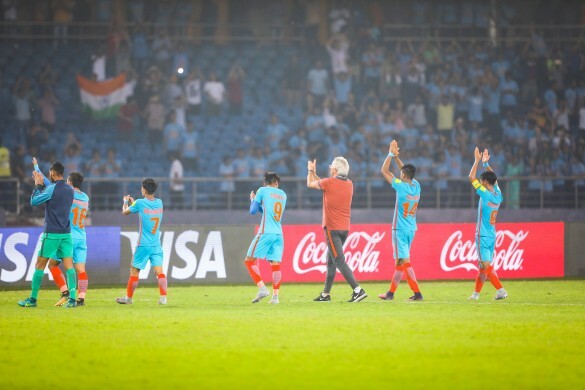 We have shown the world that we belong on the same page as them and now we want to show that we can win against them,” said Luis Norton de Matos, Head Coach, Indian U-17 World Cup Team. “Ghana will be a physical as well as a mental challenge for us. They (Ghana) are a strong physical team who are quick on the ball. We would have to be on our toes for the entirety of the match if we are to secure a win,” he added. The coach gave updates on the fitness of his players. 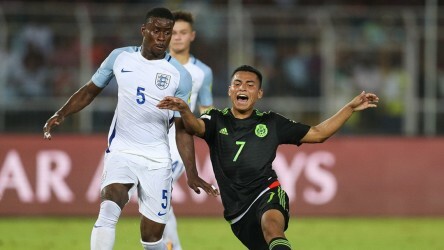 "Amarjit underwent conditional training due to certain injury concerns, and all the others are fit to play." 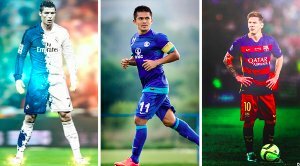 There are concerns with the fitness of Anwar Ali and Nongdamba Naorem as well. On asked about the opposition, Matos said, "Ghana have been champions of the tournament and have great teams who progress to the last rounds of this competition. The boys believe we can win the game, and look very confident. The team wants to score first in the game now." Jeakson Singh created history against Colombia when he became the first Indian goal scorer in the FIFA U-17 World Cup -- his bullet header left the Colombia custodian stunned and crashed into the back of the net. "In my professional life, I have always learned to stay motivated. The motivation is always to do better in the next game. Every game is a different story, a different script. I am proud as a coach along with the people who witnessed the goal. They are ready to give their 200% tomorrow now", the Portuguese added. The midfielder, informs that they team is raring to go against Ghana. “They are a very strong side. But we are ready and prepared. It will be a physically taxing battle against Ghana but I reiterate, we are ready,” he pronounced. Goalkeeper Dheeraj Singh calls for even more support against Ghana. “Against Ghana we will need a lot of support. We will give it our very best on the pitch. I expect all to be cheering for us like they have done for us. We won’t disappoint them. Come and back the blue,” he stated.